Here at NordicTrans, we are always working with in-house teams composed of native and professional translators, proofreaders, and project managers who are all committed in providing the best English to Icelandic translation services. We cater to any type of Icelandic translations regardless of the file size to be translated. Our web based project management system is designed and created to provide our customers with convenience and satisfaction, all at the same time. If English translation to Icelandic is what you need, entrust it to us. NordicTrans is an expert translation service provider specializing in the Nordic languages and has been serving the world for more than 16 years now. Our expertise is recognized by reputable organisations such as the American Translators Association (ATA), and we work according to quality standards imposed by the ISO. We offer translation services with the highest quality and accurate outputs at absolutely affordable rates and fast TAT (turnaround time). Looking for English translation to Icelandic? Icelandic is one of the languages we are specialized in, and it doesn’t matter if you need English translation to Icelandic or the other way around: we have translators for both. We are the largest translation agency operating in Northern Europe and United States, and we have the best native translators to do English to Icelandic translations or vice versa. NordicTrans is one of the few translation agencies that can do Icelandic the right way, for any field. With us there will always be a translator to translate, a second linguist to edit and a third to proofread the translation. We provide English to Icelandic translation services of the highest quality at an affordable price! Because quality assurance is the topmost priority in our business, this has led us to become one of the leading translation agencies around the world. We always adhere to the standards set by the ISO and the ATA; as we will always adhere to our very own commitment to always provide the best translation services at affordable rates. Call, email, or directly get in touch with our 24/7 live chat thru our website. Whichever way you contact us, we will surely give you the best translation services that you need and require us to render. Try our services now and experience to translate your projects with a reputable translation services provider in the world. At NordicTrans, we will accept all types or kinds of English to Icelandic translation projects no matter how big or small those projects are. We do English to Icelandic translations by our in-house teams of translators ready to render high quality, spot-on translation services for any document, website or software. Anyone in need of translation services will look for 3 things: quality, fast turnaround and low prices. We do all three: unparalleled quality is our main goal and that is why we always provide translation, editing and proofreading all in one service. As for the prices, we sport the lowest rates in both US and Europe at this level of quality. We have the lowest turnaround times when it comes to both large and small projects: with large projects we can split the task between 2 or more translators in order to get your urgent translation done when you need it. 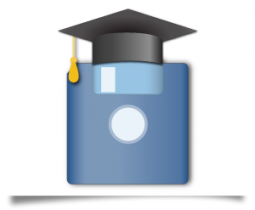 Small projects are usually certified translations for personal documents which we do for both UK and US in under 24 hours. 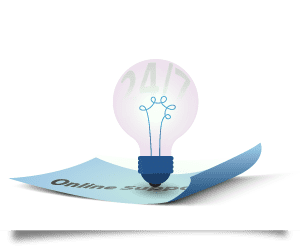 To top it all off, we are available 24/7, yes, including the weekend, so you can get in touch with our project managers in second anytime you have questions or need a free quote! We generally accept translation projects from and into any language from all around the globe. Our workforce of in-house professional native translators and proofreaders supervised by project managers is always ready to serve you 24/7. You can avail of our free translation quotes and our document word counter for your English to Icelandic translations on our website. We also have the 24/7 online customer service assistance thru live chat. 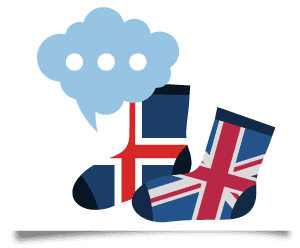 We cater to English to Icelandic translation projects anytime, with absolutely no additional charges or hidden fees for projects done over the weekend or rushed translations. If you’re in need of any linguistic assistance, like English to Icelandic translation services, please do get in touch with and talk to us. Let NordicTrans help you solve and deal with your translation problems, whatever they may be. Be it for business, personal, legal, medical, educational, or any; just name it and we’ll translate it for you. You can even view your previous projects, as well as monitor the progress of your on-going projects anytime on our website. You can be assured that we will always prioritize customer satisfaction with timely project deliveries, more affordable prices, and high quality accurate translations. While we are specialized in translating from and into the Nordic languages, we don’t stop at that. With a team of over 3,000 professional translators, we can deal with just about any language and you can rest assured that accuracy is never compromised. We will always assign translators who are natives of your target language to your project, and we will always have the translation proofread by another linguist just to make sure there are no mistakes. When it comes to Icelandic though, we treat each project with special attention as, although being a Scandinavian language, it is a language that is hard to translate by someone who is not a native and didn’t live there. Obviously, the translator in charge with your project also needs to be specialized in your field, and we make sure of that too when we assign linguists to any project. Whether you are looking for English to Icelandic or Icelandic to English translations, you can always entrust us with your projects. We will give you a translation that is perfectly done and adapted to your target market when needed, all at a low cost. And if there are any issues with our service you can always get back to us – at any time – and we will edit the translation for free.